Microsoft had been working for over two years on Project Scorpio which promised to take console gaming to the next level which turned out to be 4K resolution gaming. 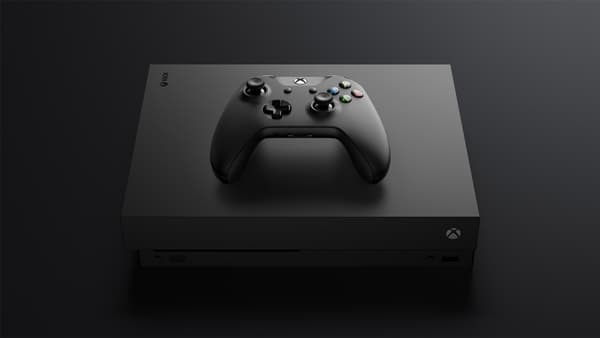 While Sony had played its cards by launching the PlayStation 4 Pro last year in the US, Microsoft was patiently working to deliver its new console Xbox One X which was revealed at E3 2017. The Xbox One X looks very similar to the cheaper Xbox One S but packs in a lot of fire power underneath. The Xbox One X has been claimed by Microsoft to be the most powerful console ever and when we compare it to the PlayStation 4 Pro we find those claims to be true. Since this $499 USD console will not arrive in stores until November 7 we have plenty of time to discuss its features. The Xbox One X is offers 40% more computing power than its main competitor PlayStation 4 Pro. It starts off with 2.3GHz 8-core AMD custom “Jaguar” CPU which manages to be slightly powerful than Playstation 4 Pro’s 2.1GHz 8-core AMD custom “Jaguar” CPU. Things get more ridiculous when you see the integrated AMD graphics with 6 teraflops of performance which exceeds PlayStation 4 Pro’s integrated AMD Polaris graphics with 4.2 teraflops of performance. You have got 4 more gigabytes of RAM (12GB) as compared to 8GB on the PlayStation 4 Pro. It has the same 1TB HDD which can also be found on the PlayStation 4 Pro. We have to point out here that hard drives can be upgraded on PlayStation 4 consoles. The Xbox One X features a 4K UHD Blu-Ray player, three USB 3.0 ports, built-in power supply and IR blaster. 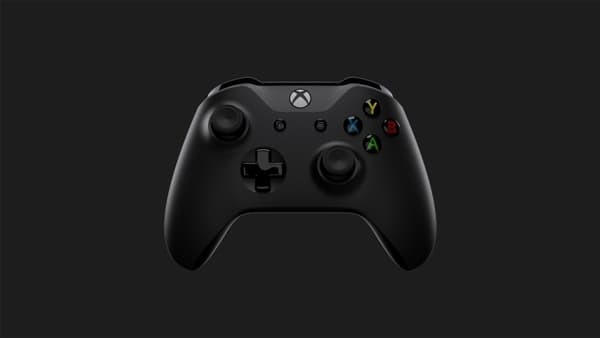 With every Xbox One X you get matching Xbox wireless controller, HDMI cable, one month of free Xbox Game Pass and 14-day Xbox Live Gold membership. Microsoft is banking on the rise of 4K gaming and it is planning to do its part by launching the Forza Motorsport 7 which will be the first true 4K game on the Xbox platform. Current Xbox titles such as Gears of War 4, Forza Horizon 3, Minecraft, Resident Evil 7, Final Fantasy 15 and Rocket League will be getting Xbox One X Enhanced versions. Microsoft has very carefully side-stepped on the mine that it had landed on back in 2013 by announcing that the Xbox One X will support backward compatible Xbox 360 titles along with current Xbox One titles. Xbox One X is the first console to feature liquid-cooled vapour chamber which has been the standard on high-end gaming PCs since years. Since most of us do not have 4K TVs, yet, Microsoft has promised that you will still get vibrant details on your 1080p HDTVs with the help of super-sampling. If you have a 4K TV then get ready for true 4K gaming which also includes recoding your gaming footage in 4K at 60 frames per second and 4K screenshots to share with your friends. The Xbox One X includes 2160p frame buffers, HDR and wide colour gamut for the best picture quality in gaming, if your game supports it. Here comes the big question, should you go for the Xbox One X or settle with PlayStation Pro 4? Here is the breakdown. If you want a console that is $100 cheaper and available right now for purchase you can spend your cash on PlayStation 4 Pro. If you are willing to wait and you like the Xbox ecosystem and Xbox exclusive titles then save your money for November.